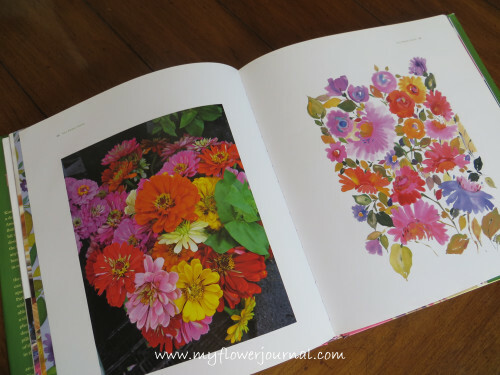 When I’m looking for inspiration to create flower art I love to study Kim Parker‘s flower paintings. I discovered her art on the internet a couple of years ago and it never ceases to inspire and amaze me. 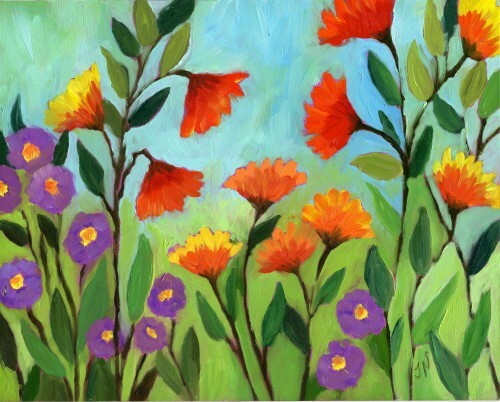 I love all her flowers designs and the way she uses bold bright colors. Here are two flower paintings I did this past year that were inspired by Kim Parker”s art. 8×8 0il painted with a palette knife. 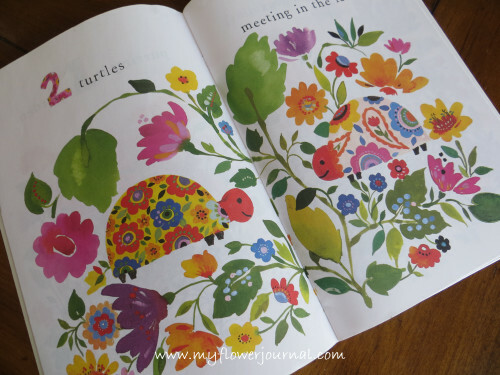 Kim also wrote and illustrated a children’s counting book with delightful watercolor garden illustrations. I hope this has given you a new idea to use when you need inspiration for your art journal or flower paintings. 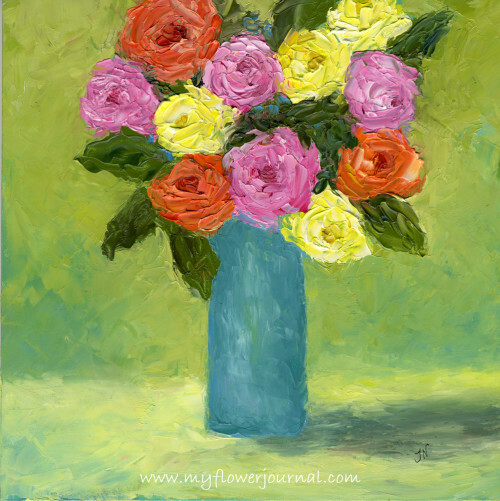 What gorgeous pieces – I love the texture in the piece with the palette knife – you really captured those petals. 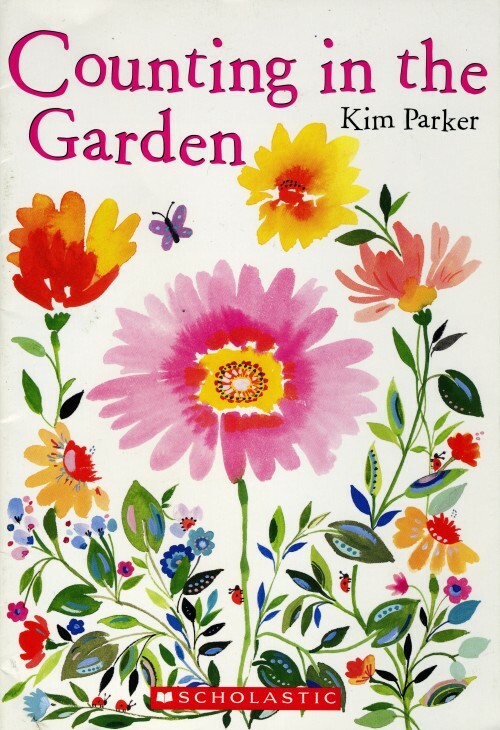 I’d never heard of Kim Parker but I’m intrigued to go read up on her now although I never paint flowers I do love them growing wild in my cottage garden! I love hers, but I prefer your oils…simply gorgeous!! i LOVE how vibrant yours are!! I need that depth of color around me!! 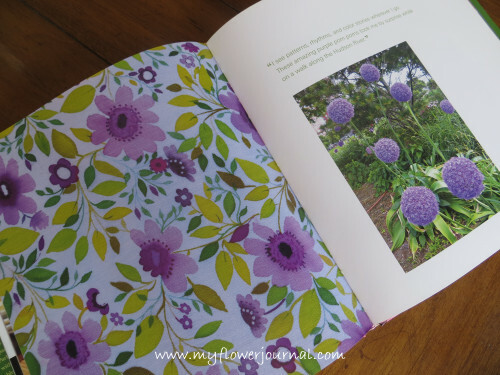 your flowers are beautiful – it is also one of my favorite art journaling subjects ! Kim Parkers work is lovely as well. thanks for sharing ! happy PPF ! Your art journal page is delightful! I love your palette knife piece as well – painting with a knife creates such remarkable texture and energy. I was interested to learn that Kim is a musician-turned-designer/artist. I have played the flute since I was a child! Thank you for introducing her. Have a lovely weekend. love your variety of flower paintings- really wonderful! Hello there! I also love Kim’s work… but yours is awesome too! Your inspiration art is so charming! I loved seeing kim’s work, thanks! Very inspiring! Especially love the oil painting texture. You do beautiful work in your flower journal. I love the bold colors. Flowers are always fun to paint. I am impressed with the palette knife painting of roses. What an impressive bit of art! Super inspiring, thank you! :) Your flower paintings are beautiful, really love the bottom one – great composition! It’s wonderful to find someone so inspiring, your works are a lovely homage. I share your love for flowers. Your flower paintings are wonderful. My favorite is the oil painting showing various flowers with the sky-background. Your paintings are fabulous – she may be your inspiration but the paintings are very much your own! Wow! What gorgeous inspiration, indeed! 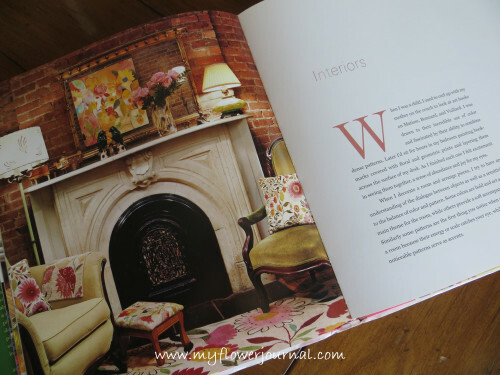 I can see how you would be influenced by such beautiful colours, textures and ‘design’. Your palette knife still life is STUNNING!! 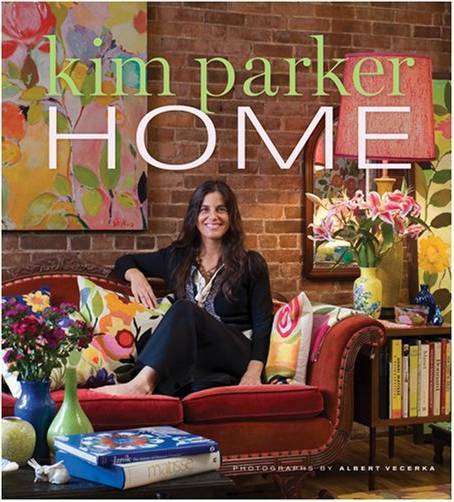 Thanks for introducing Kim Parker’s work to me. I love your vibrant paintings. I’ve never heard of Kim before, amazing book for children. A great way to get them interested in the flowers in the garden. What talent! I so enjoy looking at your work, I so admire it…I can’t draw stick people! Thanks so much for sharing your beautiful work at Amaze Me Monday…it is amazing!